Hahaha cheesy opening for a blog post, but really, life's a bit boring lately and I needed some sparks in it, so does my blog. 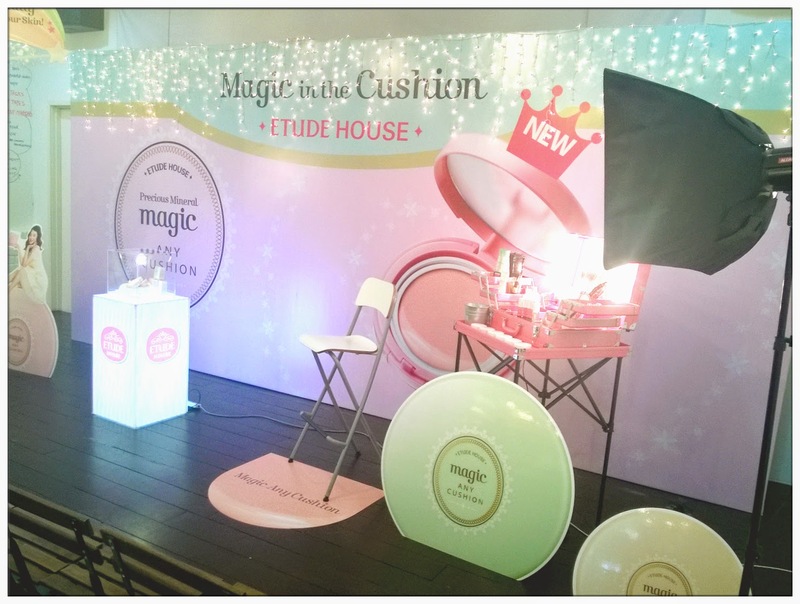 Here's one magic that I'm going to share with all of you ladies out there (or guys who do makeup before they headout) which is imported from Korea's famous beauty shop - Etude House. Thanks for the invitation from Lisa, we went to the this place called The Canvas at PJU Damansara Perdana. What a good name for beauty event because it's time to draw the canvas! 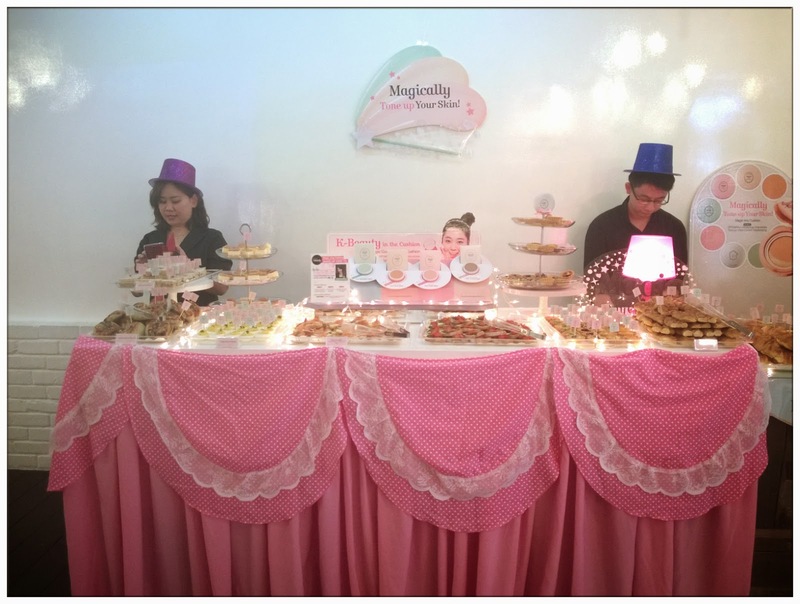 Upon entering the event venue, all I see were sparkly lightbulbs, macarons, pink fluffy stuff, so magical like we're at a wonderland! So, what's this magic we're talking about? 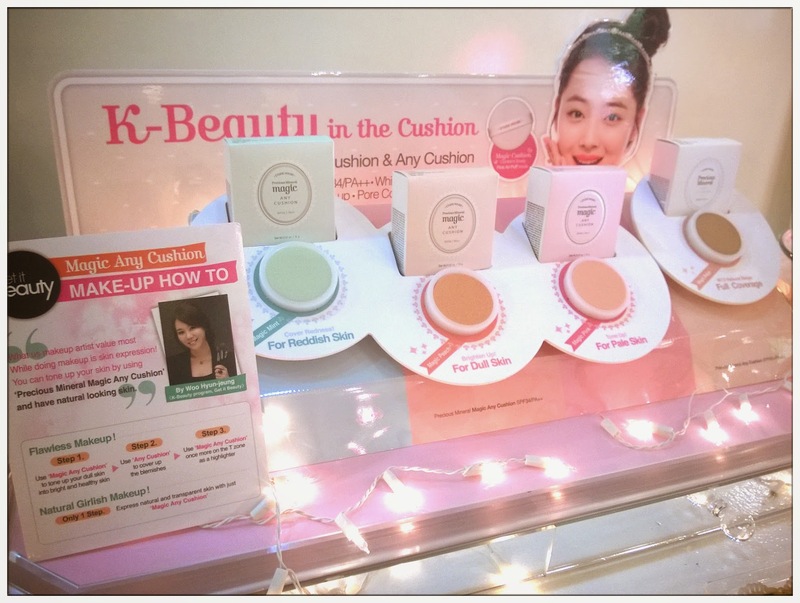 It's all about Korean stuff nowadays, KPop, K-Fashion and now Etude House has bring in the revolutionary K-Beauty with their latest product - Precious Mineral Magic Any Cushion. Just a few pat on your face, it will magically tone up your skin naturally like magic! 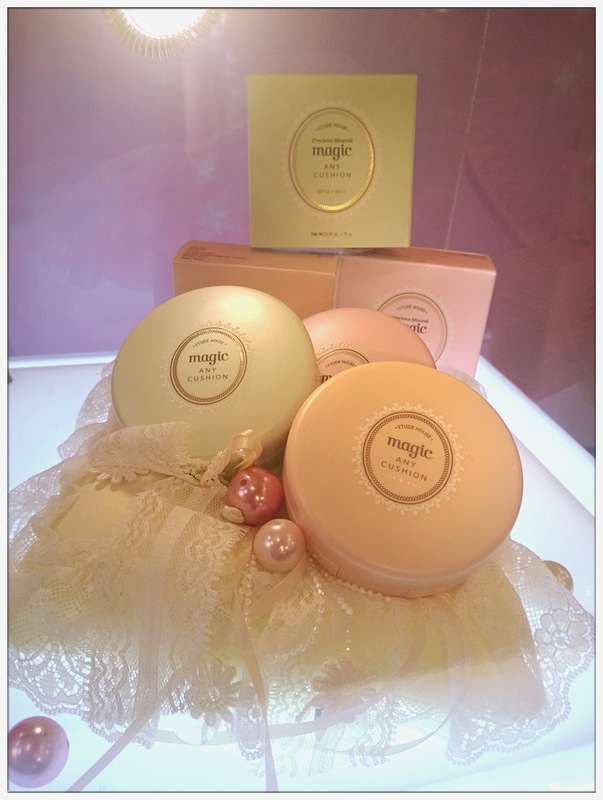 Precious Mineral Magic Any Cushion + Any Cushion which they've launched earlier. Magic Pink (which I'm using currently): smooth out pale skin into healthy and vibrant skin, giving the healthy blush on face. Magic Mint: It hides blemishes and minimize redness on skin, tune and toned up skin to make it look smoother. Magic Peach: For dull skin, it brightens up dull skin into natural toned up skin to make your face like brighter. Magic Any Cushion might be your best makeup base companion as it delivers magically natural skin tone look as natural makeup is what we're trying to achieve in makeup nowadays. Toned up and whitening effect comes from 'Mother of Pearl Extract' and 'Albutin', just a few pat on face you can feel the light yet brightening effect glows from the skin, making your skin look smooth and fresh. That's not all, Magic Any Cushion has these 6-in-1 multi-function formula which will fulfill all the needs of your skin with just few pats away. Skin brightening, tone correction, sunscreen which each of them comes with SPF 34 PA++, cooling moisture that gives your face a dewy finish, whitening and also wrinkle care. Its sheer coverage help makes your makeup looks more natural, which all of us dream of all the time! 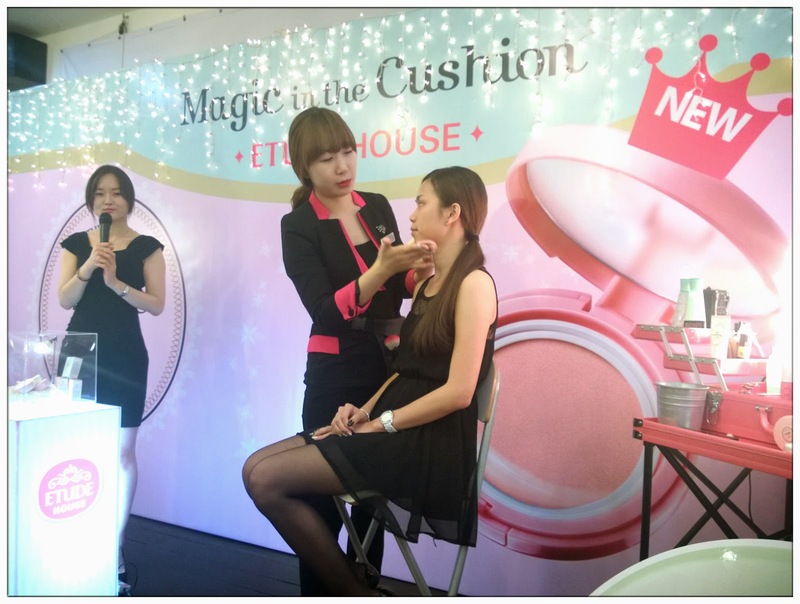 Thanks to Etude House, they've invited an experienced pro-makeup artist from Korea on the launch day to teach us how to do Korean makeup, especially those who watched My Love from The Star, Cheon Song-Yi's point makeup is what everyone's been talking about. So happy to see and learn from the pro from Korea, origin of K-Beauty and K-Makeup on the spot! After concealer, a few pats of Magic Any Cushion can immediately toned up your skin, if you wanted your makeup to remain light, Magic Any Cushion is just all you need. For more complete makeup look, combine Magic Any Cushion with Any Cushion, the makeup will stay longer and looks more polished. Just light brown eyeshadow, thin eyeline and bright pink lip colour, you can also achieve the Cheon Song-Yi's look with Etude House's makeup products. 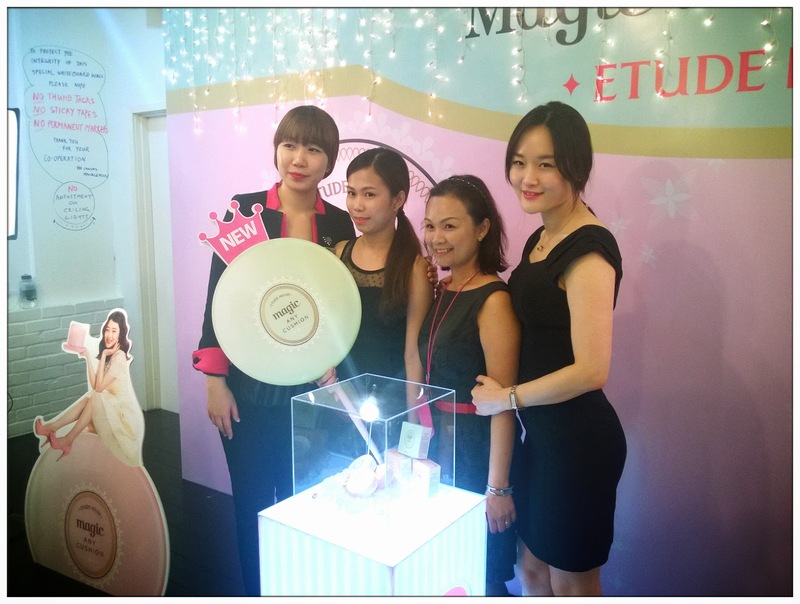 Thank you Etude House team from Malaysia and Korea! Had so much fun during the launch, gain some new knowledge about the latest K-Makeup technique. Gonna try'em soon and hopefully can look as chic as Cheon Song-Yi! 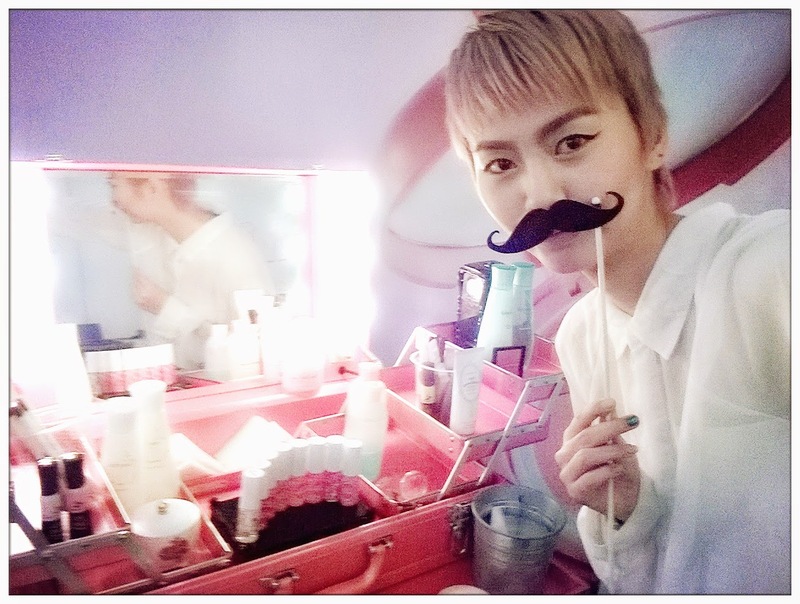 Thanks Etude House for the wonderful makeup lesson. 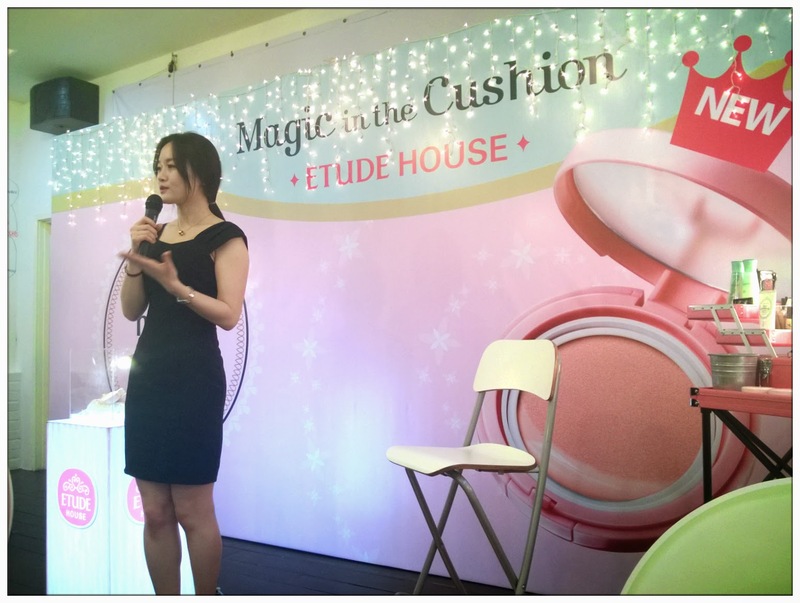 Do check out Magic Any Cushion at the nearest Etude House outlet near you!